At the end of 2017 I started an online Theology Book Club by creating a Facebook group and inviting people I thought might be interested. This group is intended to be a safe space to discuss books and theology from more of a "Progressive Christian" point of view. 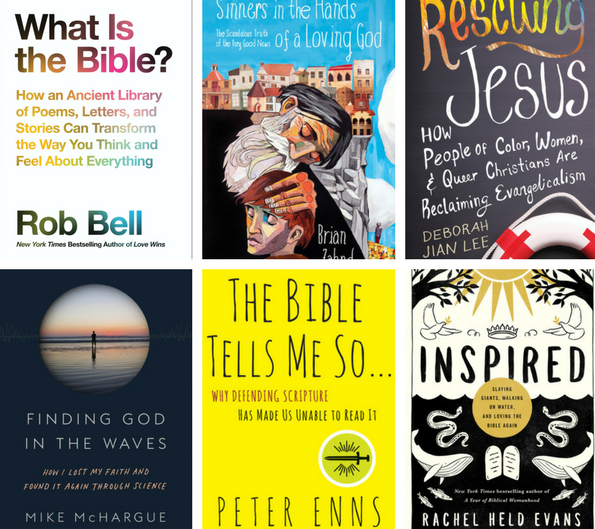 We are a community of readers who have decided we can no longer be “that kind of Christian”. John Weldy, Jennifer Neyhart, Nathan Jennings, and Thad Crews discuss how God is bringing all things into unity. What does it mean to bring all things into unity? How are we seeing that? How are we not seeing that? And what does this have to do with the Bible? John Weldy, Jennifer Neyhart, Beckett Hanan, Jason Armold, and Angela Armold discuss how we interpret the Bible through the American lens. What is different in our society that makes is so easy for us to completely miss the point of large sections of the Bible? How have we so lost the plot? John Weldy, Beckett Hanan, Robert Donahue, and I discuss going through a faith shift. What causes faith shifts? What are the costs? How do you navigate through a faith shift in a healthy way? 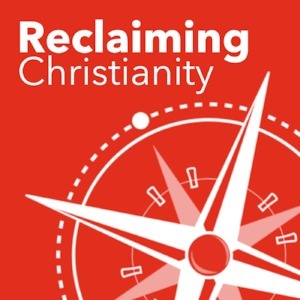 John Weldy, Eli Nichols, and Chari Deconstruie discuss the relationship between people of color and evangelicalism through the lens of Deborah Jian Lee’s Rescuing Jesus. Why is there such a divide between whites and people of color in the Church? Where did it come from? What can we do about it? How does it affect our theology? John Weldy, Mary Lokers, Doug Rice, and Beckett Hanan discuss the relationship between women & evangelicalism through the lens of Deborah Jian Lee’s Rescuing Jesus. Is being gay a sin? How has the church abused people who don’t fit into neatly-defined gender roles? John Weldy, Jennifer Neyhart, and Greg Reynolds discuss the ideas of inclusivity and exclusivity. How big is God? Who gets to define who is “in” and who is “out”? Must Christianity be exclusive, or is there a broader picture we may be missing? John and the panel discuss a Christ who is much grander than we have ever been allowed to imagine through the lens of Love Wins by Rob Bell. A broader faith. - John Weldy, Jennifer Neyhart, and Beckett Hanan discuss “Science” Mike McHargue’s Axioms of Faith as presented in his book Finding God in the Waves. Can God and science coexist? Can God be experienced without certainty? Is there a framework by which a rational person can believe in God? God and the Brain. - John Weldy, Thad Crews, and Jason Armold discuss Christianity, Atheism, and Buddhism as through the lens of Finding God in the Waves by “Science” Mike McHargue. How does God affect your brain? Does an angry God affect the brain differently from a loving God? Can doubt and faith coexist in the same skull? Finding other sojourners. - John Weldy, Michelle Collins, and Nathan Jennings discuss finding community while you’re going through deconstruction through the lens of Finding God in the Waves by “Science” Mike McHargue. What’s the most important thing for someone going through a faith shift? What can you do when you’ve been hurt by the church? Now that you’re a “heretic”, where can you find community? This Theology Book Club is a closed Facebook group, and we value member privacy because we know that not everyone wants others to know they are questioning the beliefs they've been told not to question. 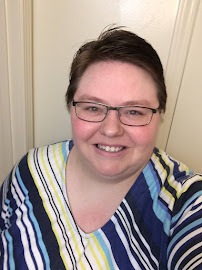 If you would like to join the Facebook Group you can click here to email me. Or click over to this page and scroll down to the bottom to fill out the contact form.